Despite a growing recognition of national contexts in predicting the dynamics of corporate social responsibility (CSR), the limited prior research has failed to disaggregate national institutions to specify the mechanisms between aspects of national institutional contexts and elements of CSR practices. In this paper we offer a framework for analyzing the nature and status of CSR, which is made up of eight elements: history, religions/ideologies, social norms, geography, political structures, the level of economic development, civil society institutions, and the country's “safety net” provisions. We apply the framework to explain how and why China's understanding of CSR differs from that in Western countries. 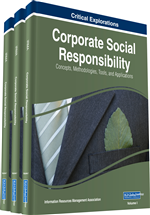 We, in the West, simply do not know as much as we should about corporate social responsibility (CSR) in other countries and other cultures. It may well be true that over the past forty years the academic world in the West has done the lion’s share of theory building in CSR and the related fields of business ethics, business and society, and stakeholder management. And too, managers in the West may well have more experience putting into practice the concepts emerging from those fields. Wang and Juslin (2009) go so far as to say that “…CSR is a term which originated in the West,” and the reference lists in the scholarly work of many Asian researchers—for example Yin and Zhang (2012) and Baxi (2013)—would seem to confirm this. However, we should not assume that all knowledge about CSR resides in North America and Europe. In India the Tata companies were developing their own brand of CSR in the 19th century. In China, although CSR per se is a relatively new phenomenon, as explained below, the historical and philosophical underpinnings for this new development have been in the making for many centuries (Wang & Juslin, 2009). International trade has increased rapidly since the end of World War II, and business managers have developed increasingly sophisticated tools and management structures to facilitate this. “Globalization” has become a buzzword. The academic world has aligned itself with this development by offering courses in international marketing, international management, and global finance. Many leading business schools are incorporating a mandatory period of travel, work, and study abroad as part of their MBA programs. But the study and practice of CSR (or business ethics, or business and society) has not benefitted in the same way from globalization; there has been too little attention given to a cross-country or cross-cultural comparison of CSR. This subject has not been ignored entirely; Visser and Tolhurst (2010) edited The World Guide to CSR, which is a collection of brief sketches of CSR practice and teaching in fifty-eight nations, but there is no unifying framework. And a number of European scholars have explored the differences of CSR among the countries of Western Europe (Fransen, 2013; Gjolberg, 2009). In this paper we provide what has been missing: a framework for comparative CSR analysis based on national contexts (see Table 1). We suggest that to understand the practice and teaching of CSR in any country or culture – developed or developing, large or small, North or South – one must take into consideration that country or culture’s context. And we break down that contextual framework into eight elements: history, religions/ideologies, geography, culture or social norms, political structures, level of economic development, civil society institutions, and the status of its “safety net.” We then use this contextual framework to explore and analyze the practice and teaching of CSR in China.